Whether it’s a simple broken sprinkler head, broken pipe or an Irrigation disaster, we can help. 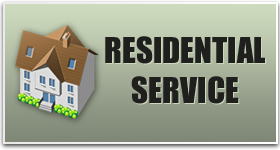 Serving both residential and commercial properties and provide all types of irrigation and sprinkler repair service. 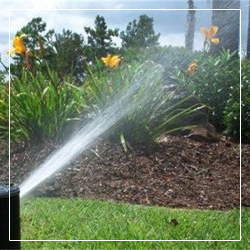 We service and maintain all types of sprinkler heads including Rainbird, and Hunter, and service all makes and models of irrigation and sprinkler systems. Saving you time, money and worry! Accurate Irrigation, Inc. installs all types of irrigation systems needed for your yard in Vero Beach and Sebastian, FL. Including new construction and existing properties. Providing a full range of installation services. 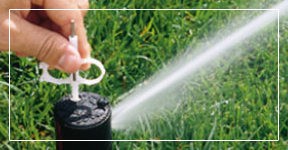 Sprinkler and irrigation system repair service Vero Beach and Sebastian property owners have trusted for many years. Accurate Irrigation, Inc providing expert service for your sprinkler and irrigation system repair needs in Vero Beach FL and Sebastian FL. Specializing in all types of sprinkler services, we provide all the repairs and preventative maintenance you need, ensuring evenly watered grass, therefore providing you with a beautiful and healthy green lawn! 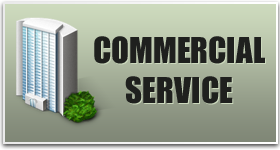 Our services are affordable and dependable. The right amount of water, at the right time. If your irrigation system is not functioning properly, it could be costing you money, harming your landscape and wasting one of our most precious resources. Free estimates. To get a reliable, water-efficient sprinkler system installed in Vero Beach and Sebastian or to have high-quality repairs performed, call Accurate Irrigation and Pump at 772.589.4115 or contact us online. Estimates for new installations and repairs are FREE. If you want a nice looking lawn that doesn't' require a huge time commitment, make sure your sprinkler system is well tuned. One broken sprinkler head can compromise the entire lawn. That's why our Accurate Irrigation sprinkler repair techs check every sprinkler head on every visit. This is simply part of our comprehensive service that allows us to diagnose and optimize your system to give you the best irrigation possible with the least water usage. Once we get your system working the way it is supposed to, our Vero Beach and Sebastian sprinkler repair teams will suggest a seasonal maintenance plan. We don't do this as a way to try to fleece you out of cash, we do it because you'll actually save money on your water bill and have a more lush and resilient landscape if your irrigation system is continually serviced. No matter how good the initial set up is, without proper maintenance the efficiency of the system will start to deteriorate. This is because your landscape is a living, growing environment and as it matures its water needs change. Obviously there will be times when watering isn't necessary at all, and other times when the heat of summer makes your lawn beg for water. We'll discuss adding a rain sensor system to your existing set-up to maximize your irrigating dollar. There are passive and active systems, systems that work at the individual sprinkler head level to ones that work off a master control system. The point is, we have a myriad of systems to choose form, and we have the experience to match the right one to your particular landscape. Sometimes the system you have in place isn't right for your current landscape. Our Vero Beach and Sebastian irrigation repair pros will help you determine if shutting down a particular run or adding additional coverage might be worthwhile. This is especially true in older, one-size-fits-all systems. 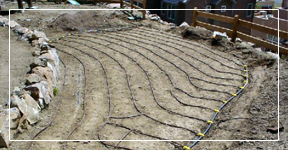 We often end up adding drip irrigation lines to foundation plantings and flowerbeds. This reduces water usage and weed growth while encouraging deep root growth in your perennials, bushes and trees. 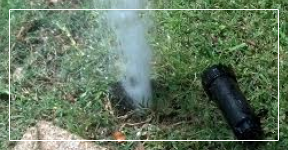 One of our major services is pop up sprinkler head repair in Vero Beach and Sebastiani. Sprinkler heads can get damaged in any number of ways from a lawnmower blade, a thrown rock, dogs or squirrels chewing on them, etc. We replace several hundred sprinkler heads every year and carry all the major brands and variations as well as the proper equipment to change them. Even if you don't need a sprinkler head repair, if the heads aren't cleaned out they can become clogged with all sorts of debris, including grass clippings, leaves, dirt, and mineral deposits. This can lead to jammed heads, failing rotors and broken valves. Having a simple maintenance scheduled twice a year is usually enough to prevent these pop up failures. "We live and work in the community, and are proud to serve our customers & neighbors with the quality of work that you know and have come to expect from Accurate Irrigation, Inc."